Indian-born steel tycoon Lakshmi Mittal became the third richest person in the world, trailing only Microsoft chief Bill Gates and US investment guru Warren Buffett. London-based Mittal boosted his fortune after quadrupling his net worth by $18.8 billion to $25 billion, Forbes magazine said late on Thursday. Mittal climbed 59 steps from last year to number three in 2005. The rich had a very good year. The collective net worth of the 691 billionaires Forbes found is $2.2 trillion, up $300 billion from the combined worth of the 587 people listed last year. Every region saw gains. The world's richest moguls now hail from 47 countries, including, for the first time, Kazakhstan, Poland, Ukraine and even Iceland. The newcomers include 69 Americans and 38 Europeans. More than half of them are entirely self-made. American gas pipeline tycoon Daniel Duncan, who was raised by his grandmother after his mother died when he was 7, debuts on the list as the wealthiest new billionaire, with a net worth of $5.1 billion. Wong Kwong Yu, 35, the youngest new self-made billionaire, runs a chain of 100-plus appliance stores catering to China's burgeoning middle class. The most conspicuous new entrant: Martha Stewart, who was freed from jail earlier this month. Seventeen people found their way back onto the list, including Home Depot (nyse: HD) shareholder Kenneth Langone, who returns following a rebound in the retailer's stock. The gap between the world's two richest people, Bill Gates and Warren Buffett, narrowed further this year, though Gates hung on to his superlative title for the eleventh year. 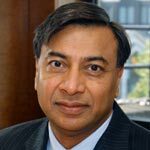 The third-richest person in the world, steel baron Lakshmi Mittal, is this year's biggest gainer in dollars, adding $18.8 billion to his net worth. Microsoft chief Bill Gates led the list for the eleventh year in a row with a net worth of $46.5 billion followed by Warren Buffet, who had a net worth of $44 billion. Mexican telecom magnate Carlos Slim Helu came in fourth, up from No. 17 in 2004; Saudi Arabian investor Prince Alwaleed Bin Talal Alsaud was ranked No. 5 and Ikea founder Ingvar Kamprad of Sweden rose to No. 6 from No. 13 last year. Microsoft's Paul Allen, German supermarket company owner Karl Albrecht, Oracle's Lawrence Ellison -- returning to the top 10 after slipping to No. 12 last year -- and Wal-Mart Stores Inc.'s S Robson Walton rounded out the top 10 slots. Software giant Wipro chairman Azim Premji stood at number 38, 20 places up from last year, with net worth of $9.3 billion; chairman of commodities conglomerate Aditya Birla Group Kumar Birla slipped two places from last year to 149 with net worth of $3.7 billion. Telecom entrepreneur Sunil Mittal improved his position to 164 with net worth of $3.3 billion. Last year, Sunil was ranked at 186, while construction baron Pallonji Mistry moved up 61 places to 170 with net worth of $3.2 billion. Godrej Group chairman Adi Godrej was pushed to 355 with net worth of $1.9 billion from last year's 277th position. Controversy surrounds several billionaires, including Poland's Jan Kulczyk, who is alleged to have ties with a Russian spy. Thirty people fell off the list, either because their net worth dropped below the minimum or because their fortunes were reclassified as belonging to families. Another 14 died, including Canada's french fry king Harrison McCain and Lebanon's former prime minister Rafik Hariri. The Forbes rankings represent a snapshot of wealth taken on February 11, the date it priced publicly held stocks. That's why chemical maker Jon Huntsman's net worth does not reflect the 15% run-up in the stock since his company went public on February 14.